What happens when you fail to build something properly? You end up with a tilting skyscraper like this. A level is a simple instrument designed to determine whether a surface is level or plumb (vertical). These levels are one of the most critical instruments used by carpenters, masons, bricklayers and other workers in the construction, metalworking and in some cases, photography work. There are various types of levels that are currently in use, but the most commonly used ones are the bubble or spirit levels. Even though levels have been around for thousands of years, the first bubble level was invented in the 17th century by a French scientist, Melchisédech Thévenot. In 1661, the scientist circulated the details of his invention to other inventors, including Vincenzo Viviani of Italy and Robert Hooke of England. However, it is believed that the bubble levels did not come into widespread use until the 18th century. Another type of level, the Fell All-Way precision level, was created by William B. Fell of Rockford, Illinois in1939. The unique device could be placed on a surface and would show the tilt on both the x and y-axis, eliminating the need to rotate the device. The Fell All-Way precision level was so accurate its export was banned during World War II. Its manufacturing stopped in 1970 but was resumed in the 1980s by the Thomas Butler Technology in Rockford, Illinois. The production was discontinued again in the 1990s, but hundreds of highly valuable instruments remain in existence. Today, level tools are available in the accelerometers of most smartphones. They also allow websites to get the orientation of the phones. Broadly speaking, there are four common categories of levels used in construction. These levels are further categorized into several other types. A spirit or bubble level consists of a small glass tube filled with alcohol and a little air bubble sealed inside. The top of the tube is slightly bowed so that when the surface under the instrument is horizontal, the bubble will rest exactly in the middle. 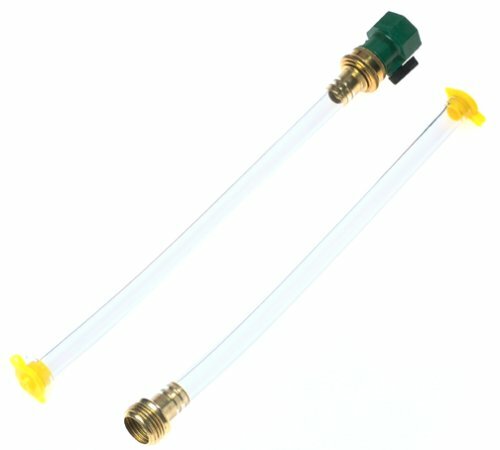 The accuracy of the bubble levels is determined by how “flat” the bowed top of the tube is. A water level is used for matching elevations of locations that are too distant for spirit levels to cover. These tools have been used since ancient times and work on the principle that water always finds its own level. This is the perfect tool for accurate unsighted room-to-room measurements where using a spirit of bubble level would not be effective. A water level consists of two cylinders set on top of the two surfaces that you want to level. The containers are connected by plastic tubing that lies below them. If the two surfaces on which the cylinders are placed are of the same height, the water inside the cylinders will be level. If the water is not level, it means one surface is higher than the other. This tool is often used by foundation contractors, plumbers, carpenters and other landscapers. It can be used to line up a deck or locate a dropped ceiling. This tool can be of any size and is even effective with objects that are separated by obstacles like trees, rocks or any other structure. Optical levels are used in construction work when a horizontal surface needs to be traveled over large distances, for example, the whole building site. The level plane is determined by a bubble in the vial. The level is determined by viewing the site through a lens. Optical levels are less likely to be used by home improvement enthusiasts but are very useful for professional builders as they are used for constructing buildings and require very high accuracy. 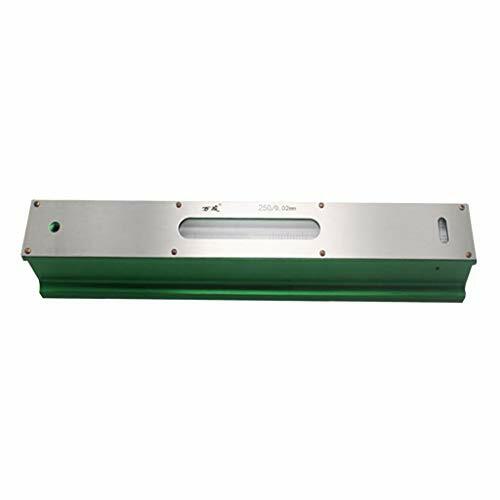 This type of level consists of a laser beam projector that emits a fixed red or green beam onto the surface to set up a level plane. More expensive versions will show the vertical or plumb level as well, which increases accuracy. A carpenter’s level tool is a two-feet, four-feet, six-feet or eight-feet plank of wood, which is often made of handsome and very stable wood like ebony, rosewood, and mahogany. These days, carpenter level tools also come in aluminum and composite materials. 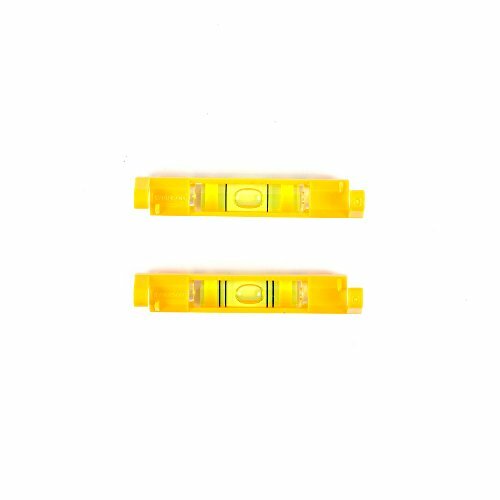 This type of spirit level consists of one or multiple bubble vials (depending on the size). Two rings or notches indicate where the bubbles need to be to indicate true level and plumb. In most cases, a 45-degree indicator inclination is also included. Mason’s levels are often four-feet or longer in length. The longer these precision instruments, the more accurate they are. However, there are shorter mason’s levels as well, which are designed for cramped quarters. The four-foot-long mason’s levels are perfect for making and installing cabinets. Dumpy level, tilting level, or automatic level all refer to leveling instruments used in surveying that can determine the difference in height over long distances. This level is placed on a tripod-mounted telescope with crosshairs. Height difference can be measured by gauging the difference between two graduated vertical rods placed together, one behind the other. 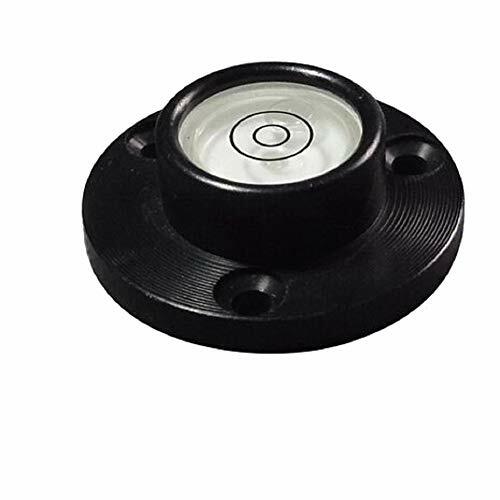 These surveyor’s leveling instruments can be accurate to up to 0.62 miles, give or take a few millimeters. A line level features a small bubble vial that can be hung from a taut string stretched between two points. You can adjust the string to find the level by centering the bubble between the two notches on the vial. 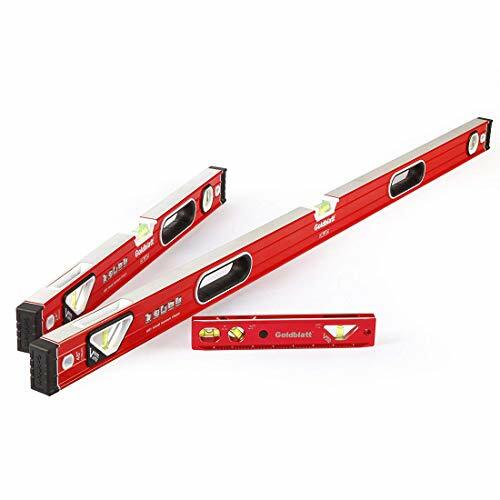 The line levels are ideal for when you want to do rough carpentry, suspend ceiling tiles or install patios. However, its effectiveness is limited when precision is important. 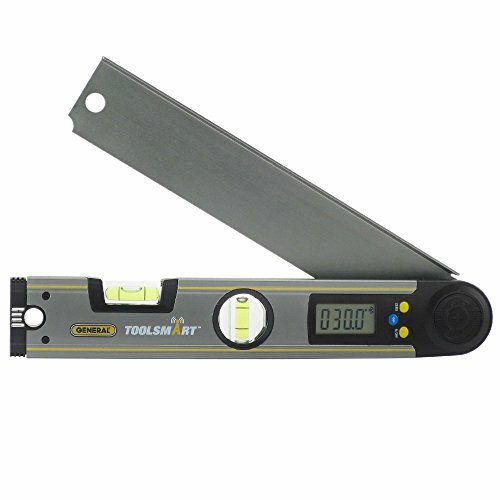 This spirit level instrument is used when precision needs to be more accurate than what a plain spirit level can offer. These instruments are used by engineers and architects to level foundations or beds of machines to make sure that the machine can produce workpieces accurately. 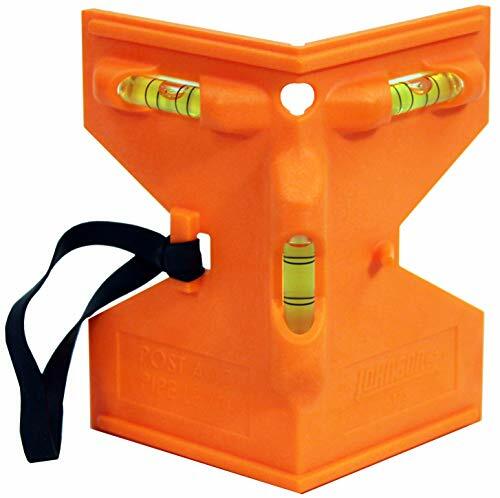 Also known as canoe levels or boat-shaped levels, these are small leveling tools that can be placed inside a toolbox. These levels are usually less than a foot long and are tapered at both ends. They are ideal for small household tasks or working in small spaces. Some come with magnets that can attach them to flat surfaces, allowing you to use your hands freely. A variation of the torpedo level is the scaffold level. As its name suggests, these levels are perfect for erecting scaffolds and contains magnets that can attach the equipment to the surface. These levels are also used by plumbers and others who work with pipes and metal surfaces. These levels come in even smaller sizes than torpedo levels and are designed to be fitted easily inside pockets. They can be mounted on a belt via clips and have magnets and v-groove that help them stick to metallic surfaces. 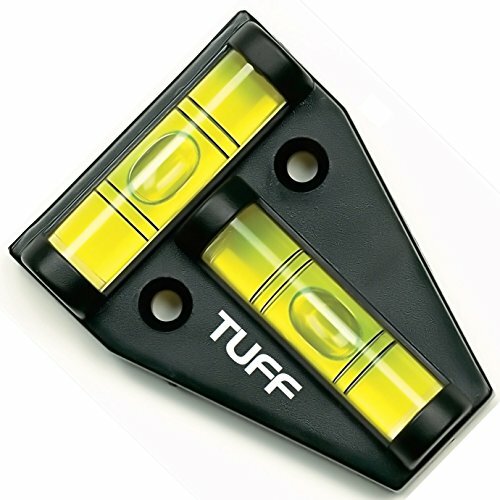 A bull’s eye level is a kind of spirit level that allows two-dimensional leveling. These levels are used in construction by carpenters but are also found in compasses and camera tripods and other devices that need to be prevented from tipping into certain directions. Keep in mind that unlike the bull’s eye level, typical rods or tube-shaped levels only consider one dimension. This instrument has been around, at least, since ancient Egyptian times. The plumb bob looks like a thick metal pencil stub, which is weighted down at the point. The instrument measures vertical depths if you tie it to a string and let it hang down until it stops moving. It is basically a vertical counterpart to the water level. Workers use it for making concrete deck footings. This level is L-shaped and consists of a bubble vial on each wing and the spine. It often comes with magnets for easy attachments to surface. This is specialized leveling equipment designed to make sure that posts are plumb on all sides. These are very useful when constructing porches, decks and other fixtures which consist of posts. An angle level is used for creating slopes and angles between 0 and 90 degrees. They come with an adjustable bubble vial that can help you set the angle you wish. These are used by plumbers to make sure drainage pipes are slanted correctly. Also called right-angle levels or 2D levels, these are pocket-sized instruments that have two bubble vials at right angles to each other. This can help you check the horizontal, as well as, vertical planes with respect to each other. As with all small-sized leveling equipment, cross-check levels are great for household use only. 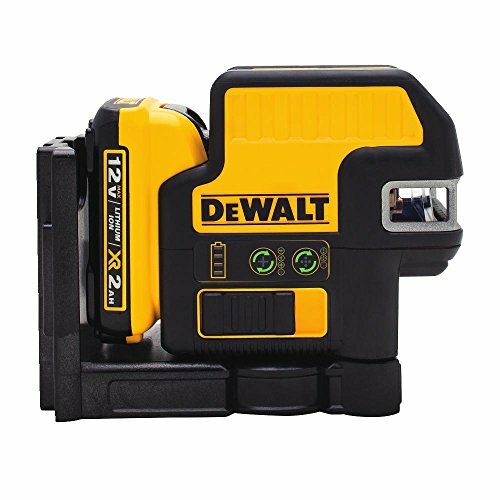 This is a fixed type of laser level that is placed in a set position to project a perfectly horizontal line of light. You can use this beam of light to mark positions and install crown moldings or hang a picture. 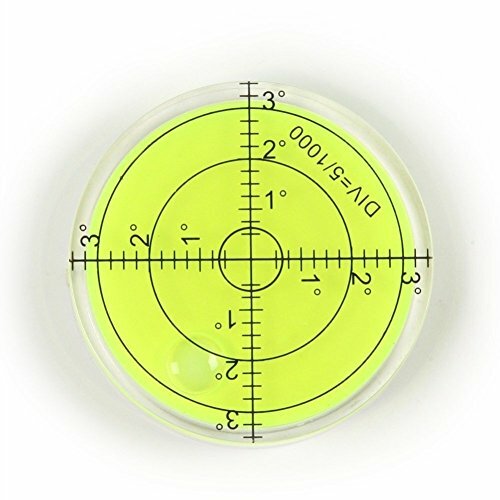 Spot laser levels are very easy to use and are inexpensive. However, their accuracy is limited and hence, they should only be used for home-use rather than for site construction, where more sophisticated tools are required. This is a slightly more accurate level than the sport laser level as it projects a cross on the wall. It ensures you have a straight x-axis as well as a y-axis. Like the spot laser level, this level is also static and can be fixed on the wall and moved with your hand to point a continuous line from one side of the room to the other. They are slightly more expensive than spot line levels and are perfect for putting up pictures, hooks, shelves and any other thing that you need to attach to the wall. 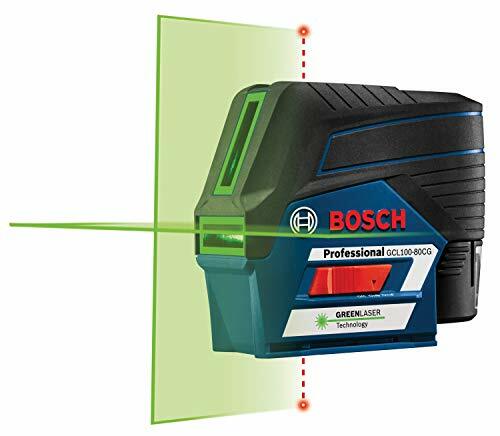 This laser level type works on the same principle as spot laser level and cross-line laser level; however, it shoots up a beam of vertical laser light. This tool is good for vertical alignments and can substitute a plumb bob to measure depths, especially on windy days when the plumb bob is prone to shake. A rotary laser level consists of laser and mirrors. The level projects a red or green bean that rotates around a horizontal plane like a lighthouse beam. 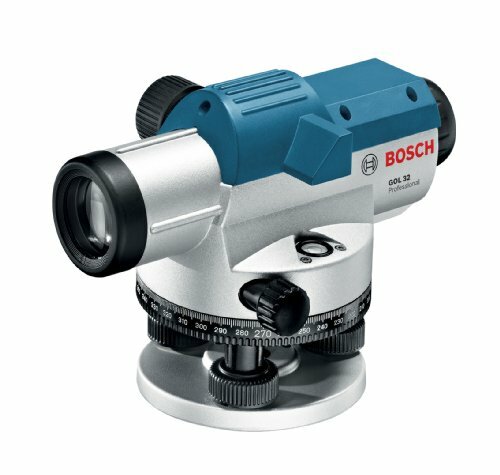 You can mark various points by lowering or raising the rotary laser level. 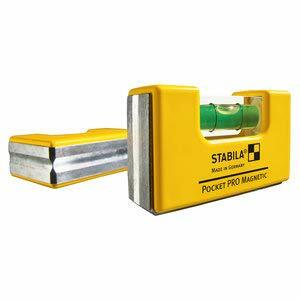 This tool is great for leveling windows and doors, making skirting, batter boards and dado rails. Keeping an assortment of small and medium-sized levels at your home is a good idea for DIY enthusiasts as they can help prepare them for small jobs. However, for larger constructions, it is important that you yourself are a skilled builder or that you hire a professional builder. Levels come in all sizes and can be costly or inexpensive. Cheaper alternatives may have limited accuracy but they can save you money and they are fine for small DIY constructions like buildings shelves and cabinets and hooking pictures. Just take a look at the above tools to find out what suits your needs the best!